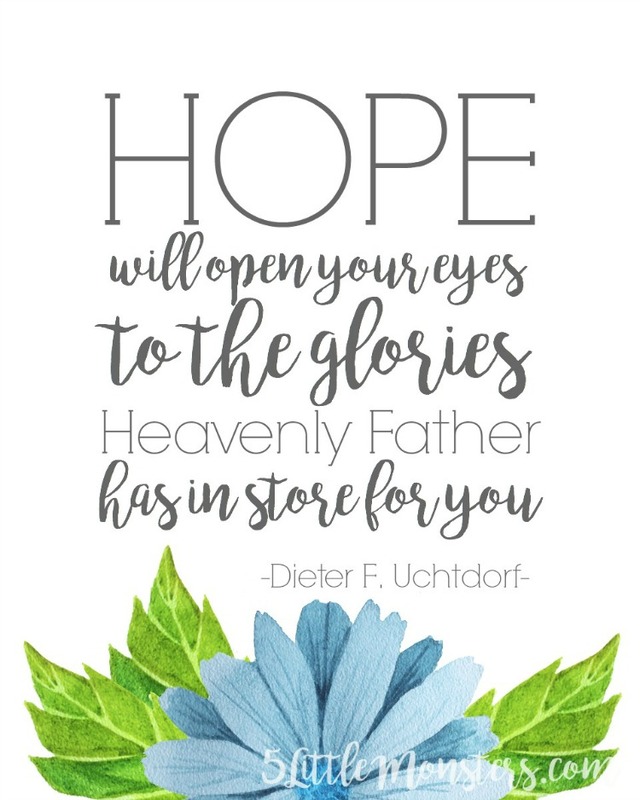 The last principle of the 8 principles that are part of the #PrinceOfPeace campaign on Mormon.org is Hope. 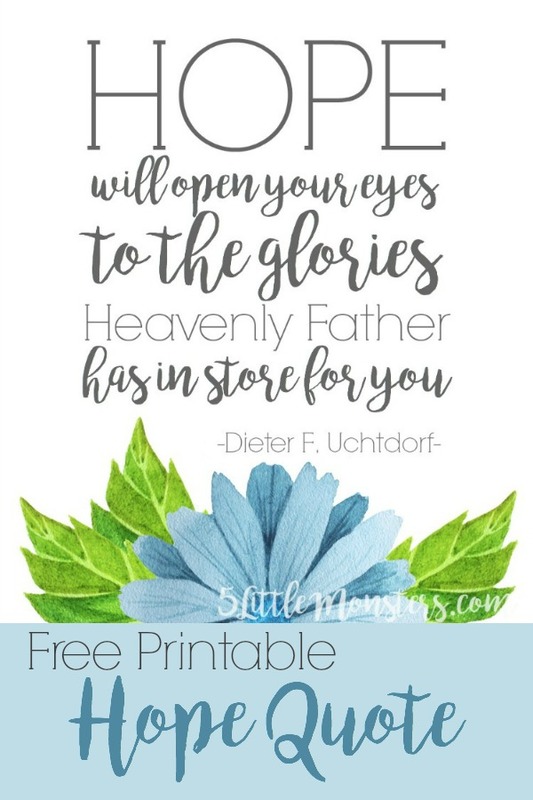 As I did with the others I am sharing a free printable quote to go along with it. 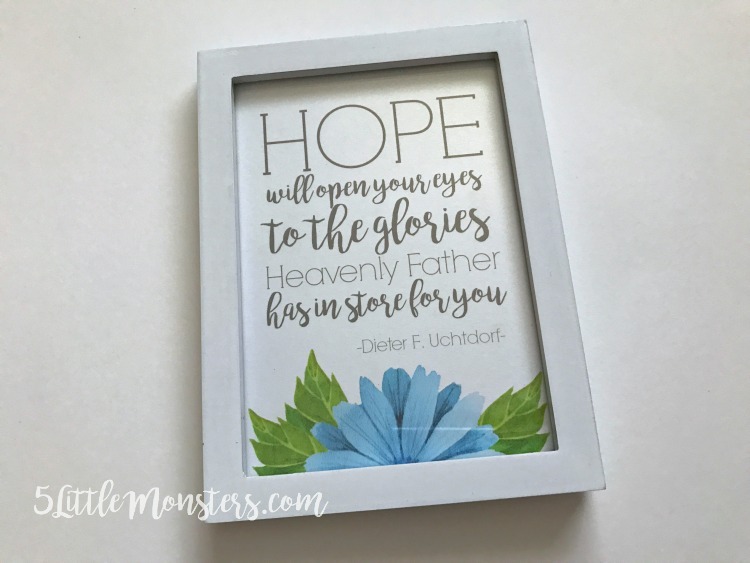 I chose another quote by Dieter F. Uchtdorf, "Hope will open your eyes to the glories Heavenly Father has in store for you". You can get the free printable in either a 5" x 7" or 8" x 10" by clicking the links below.